BUILDEX is the voice of the building industry today, and the vision of its future. This exciting event – the largest in Western Canada – brings together talent from across industry to interact, learn and discover the newest innovations of a market in constant transformation. 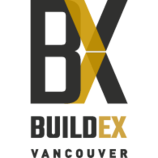 BUILDEX Vancouver is an event that enables Architecture & Design, Construction, and Property Management professionals to immerse themselves in dialogue and build community, providing a meaningful platform for industry advancement.